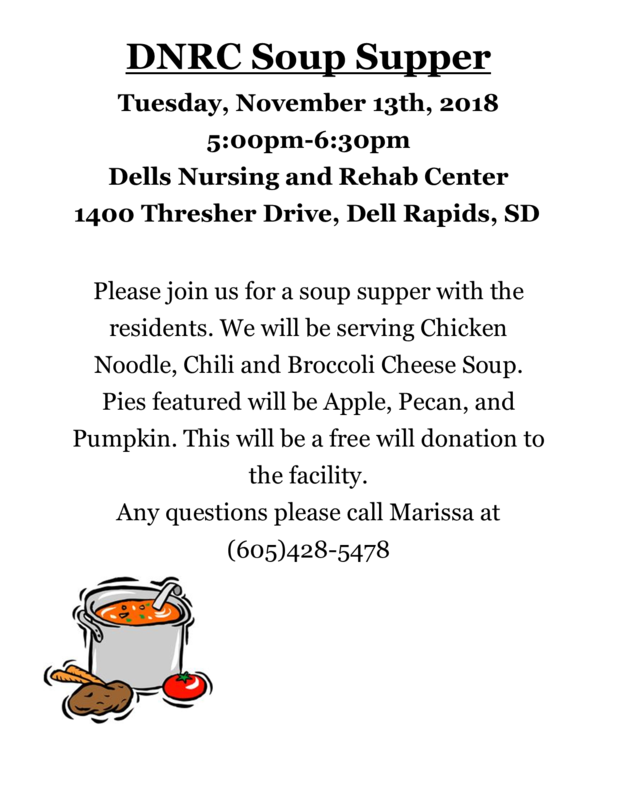 Please join Dells Nursing and Rehab Center for a soup supper with the residents. 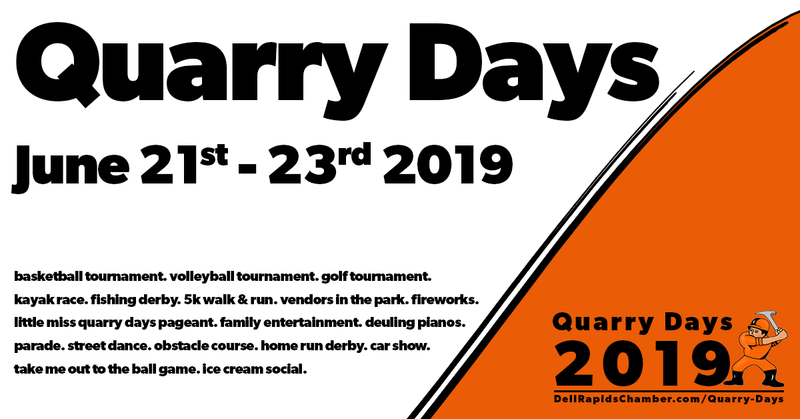 They will be serving Chicken Noodle, Chili and Broccoli Cheese Soup. Pies featured will be Apple, Pecan, and Pumpkin. 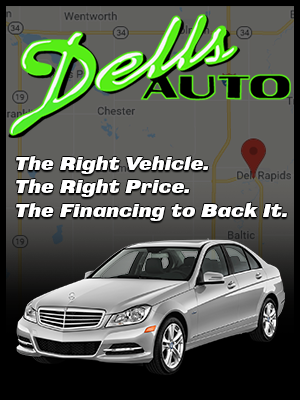 This will be a free will donation to the facility.